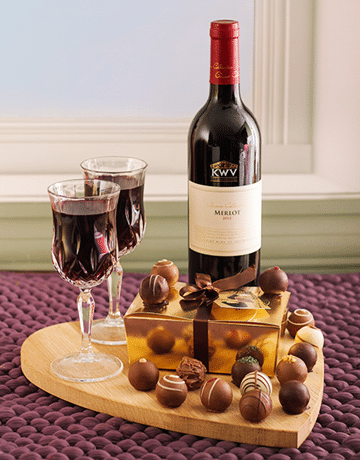 A fabulous way to savor your Sauvignon Blanc is to indulge with some chocolate! 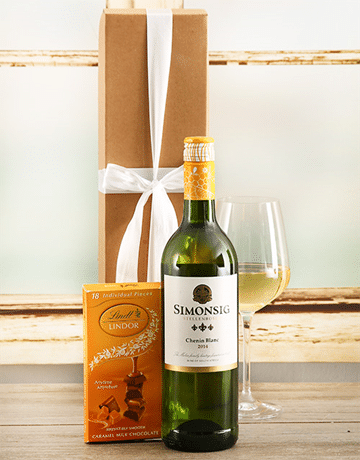 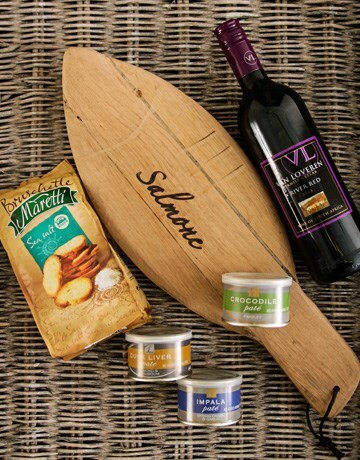 This wine gift comes includes a bottle of Simonsig Chenin Blanc (750ml) as well as Lindt chocolate (100g). 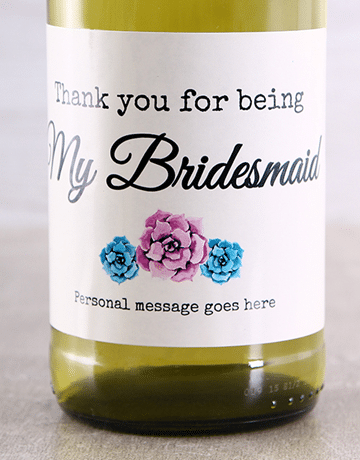 Give your loved one the best of both worlds and deliver them this amazing gift today!